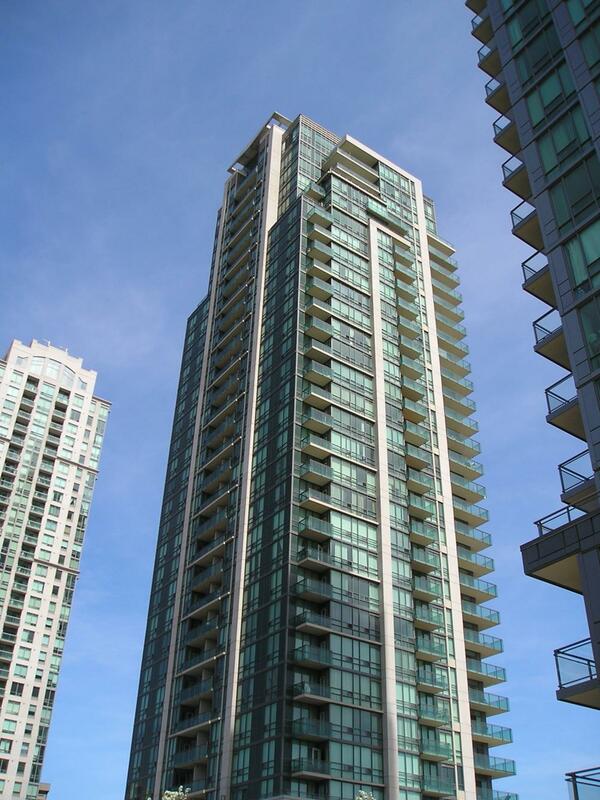 Eve Condos were the second tower in the Mississauga Square One area to be built and completed by Vancouver developer Amacon Corporation. Amacon first completed Eve’s sister tower known as Eden Park, and then followed Eve, along with Elle. Amacon are now busy with the huge multi-year Parkside Village development currently underway at the corner of Burnhamthorpe Rd. and Confederation Parkway. Eve was completed completed in 2009 and has a clean modern look with plenty of shining, blue green glass. It is situated in a unique pocket between Hurontario Street and Kariya Drive, just south of the hustle and bustle of Square One. Eve consists of a single 32 storey tower that is surrounded by a small podium. Eve shares a private drive through/walkway between Hurontario Street and Kariya Drive, with its sister towers Eden Park and Elle. 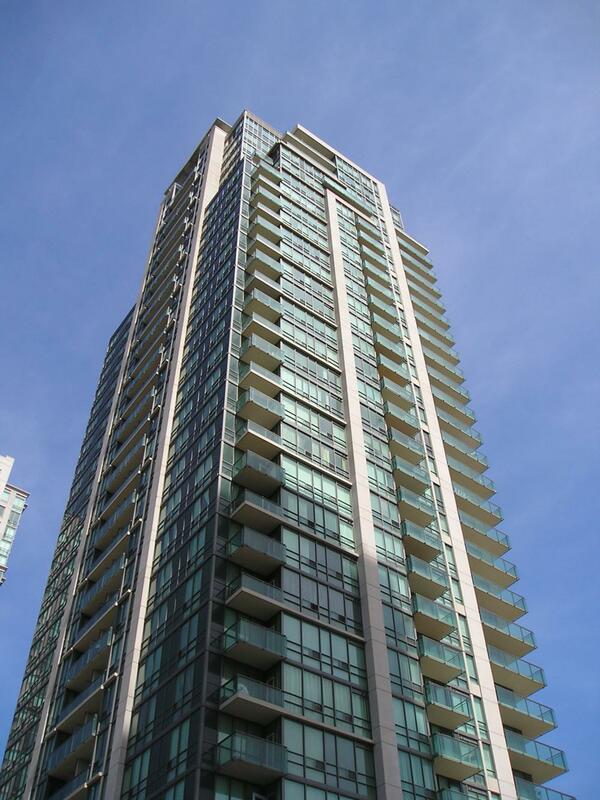 City address for Eve Condos is 3515 Kariya Drive. Eve Condos are an integral part of the recent wave of luxury condominiums which have been built in the Mississauga City Centre (MCC) area, and as such, enjoy a convenient proximity to all that MCC has to offer: the vast Square One Shopping mall is a short walk away, with the southeast entrance to the mall (Walmart) closest. In addtion to the mall, the rejuvenated Celebration Square, Mississauga City Hall, the central YMCA, the Mississauga Central Library, Sheridan College, the Living Arts Centre, and the Mississauga Transit and GO bus terminal are all within easy walking distance. Eve is also within short walking distance to the Cooksville GO station, as well as both Father Goetz Catholic Secondary School, and T.L. Kennedy Public Secondary School. There is also nearby access to the 403 highway, and close proximity to major grocery stores such as the Metro located across Hurontario on Mississauga Valley Blvd., and the full grocery store located lower level of the Walmart at Square One. One of the most popular of the newer luxury condos completed in the Mississauga Square One area in the last ten years, the Eve condos have a long list of impressive amenities. Primarily located in an area known as “Eve Lounge”, Eve features generous facilities for residents and their guests – with bar, kitchens, and a library room with fireplace. The Eve Lounge also features an indoor swimming pool, whirlpool, sauna, spa, exercise room, and a gym. Eve is also blessed with nearby access to two city parks. Kariya Park, which was originally a gift to the city of Mississauga from the city of Kariya, Japan, is a 2 minute walk away. This terrific city park, with its serene Japanese gardens, is often the setting for wedding pictures for newlywed couples. Across Hurontario, another nearby Mississauga Valley park features baseball and soccer fields, extensive barbeque areas, bocce ball pitch, a forested creek with plenty of wildfowl, and water splash pads for children. Eve condo itself has a nicely landscaped courtyard, with seating areas, walking paths, BBQ and children’s play area. Throughout the condo, individual units have open balconies, many with terrific views of downtown Mississauga, Toronto, and places further afield such as Niagara Falls. 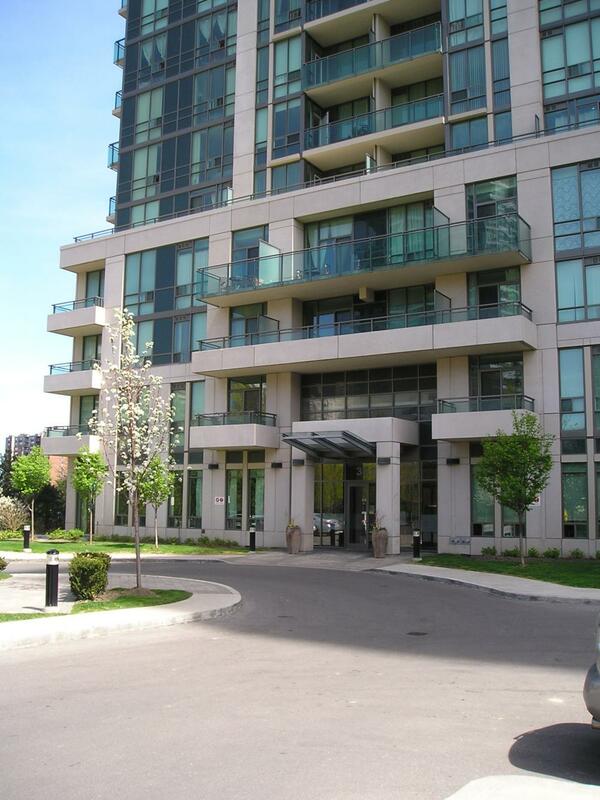 Interested in finding the right Mississauga condo for you? Don’t make a mistake and buy in the wrong building! If making the right choice is important, click the link below! You will get a free, quick, over the phone consultation, which will help you to get clear on what buildings are best for you, whether you are buying, selling, or renting.